Scale with Host1Plus Cloud and Premium Dedicated servers in Los Angeles. This location provides excellent connectivity throughout the West Coast and Asia. Our new servers are all equipped with SSD storage and newest CPU. New features provide increased stability, as well as ensuring server reliability. You are also able to expand your worldwide connectivity by assigning up to 2048 IP addresses to your infrastructure. We would like to inform you that recently some changes were made regarding our services. Unfortunately, we no longer provide dedicated server hosting. Since we‘re highly concentrating on our virtual hosting and improvement of its quality, we have reached a decision to remove dedicated server hosting from our website. Please note, that all affiliate banners, links, coupons, etc. that are promoting dedicated server hosting, were removed and are no longer visible. Hence, if you have any dedicated server hosting banners or links shared, please remove them because they‘re invalid. Good news is that we‘ll launch new promos at the beginning of February with new banners. You will receive a separate email about these discounts in detail. SANTAWEB — Web hosting Personal, Business and Business Pro plans -45% for up to 6-24 month billing cycles. For new and existing clients. Can be used once. SANTAVPS — VPS -20% for 3-12 month billing cycles except Amber plan. For new and existing clients. Can be used more than once. You can find all the new banners by logging in to your client area. Navigate to «Banners & Links» folder -> unfold «English Banners» -> unfold «Hosting Promotions» and click on «Active to 2015-12-31”. In this section you will find our latest promotions and cut off prices for our services. All of the banners are brand new fresh! P.S. Do not forget to remove the old promotional banners which are no longer active. In the attachment, please find the example of how the banners look like. BLACKFRIDAY — VPS -30% for 3, 6, or 12 months billing cycle. Every VPS service bought will include 2 free backups. We will also launch new promos at the beginning of December with new banners. You will receive a separate email about these discounts in detail. P.S. Do not forget to remove the old promotional banners which are no longer active. I hope you will be happy with our new deals and promotions. For those interested with host node information. In Los Angeles, they are using Intel E5-2650 V2 and E5-2640 V2 on a 1Gbit shared network. In Chicago, they have Intel E5-2620 v3 on a 10Gbit shared network. For Brazil, they are using Intel E5-2440 on a 1Gbit shared network. And lastly, their Germany location uses L5630 on a 1Gbit shared network. Aurimas also told us some exciting addition to their service. DDoS protection (Staminus) is now available in their USA, Brazil and South Africa locations. They have now implemented DNS management. 1-Click Installer is now available that can be used to install WordPress, OpenVPN, ISPConfig, and cPanel. VPSZA75 — VPS hosting in our South Africa location -75%. Valid for 1-12 month billing cycles. Can be used by new and existing clients (more than once), while stocks last. 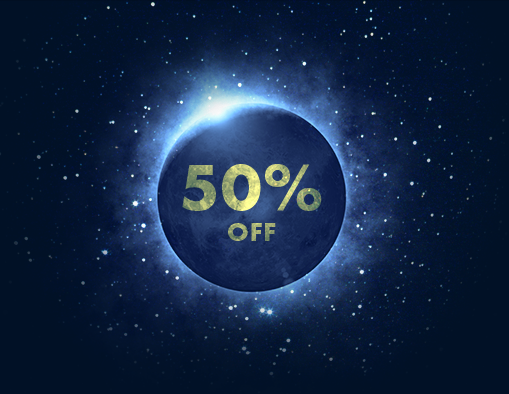 WEB50OFF — Web hosting -50% for up to 1-6 months billing cycle. For new clients. Can be used once. 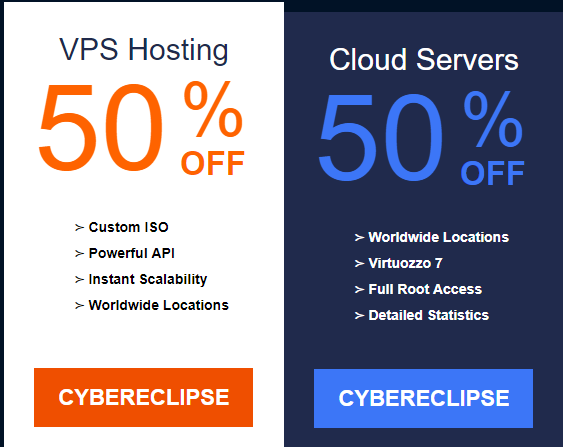 VPS30OFF — VPS -30% for 1-3 month billing cycles. For new clients. Can be used once. DED30OFF — Dedicated -30% for 1-3 month billing cycles. For new clients. Can be used once. RESELL35OFF — Reseller hosting -35% for 1-3 month billing cycles. For new clients. Can be used once.